Lagos â€“ Prominent Igbo leaders, including Chief Jim Nwobodo, Chief Mike Okiro, Chief Maxi Okwu and Dr Orji Kalu on Saturday described the death of Chief Chukwuemeka Odumegwu-Ojukwu as the â€œ fall of an Iroko treeâ€™â€™. In a telephone interview Sen. Nwobodo, a former governor of old Anambra and ex-minister of sports said: â€œA great Iroko has fallenâ€™â€™. In his reaction, Chief Maxi Okwu, the presidential candidate of the Citizens Popular Party in 2007, said: â€œLike a comet that streaks through the skyâ€, Ikemba came and blazed the trail for justice, equality and emancipation. Also speaking, Chief Mike Okiro, a former Inspector General of Police, described Ojukwuâ€™s death as a great loss to the Igbos. â€œOjukwu was a symbol of Igboland and a symbol of struggle against marginalisationâ€™â€™ Okiro said in a telephone interview. 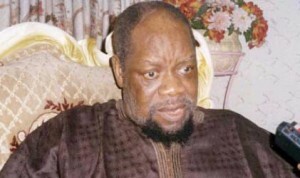 Kalu, who spoke through his Director of Media, Mr Emeka Obasi, said that Ojukwuâ€™s death was a very sad moment for Nigeria. â€œOjukwu was born a Nigerian, he died a Nigerian and the Igbos would never forget his contributions to their well- beingâ€. â€œThis is a very shocking development and this shows that God can take our lives at any time he desires. Ojukwu was a hero who contributed to national development not withstanding some of his flaws,â€ he said.